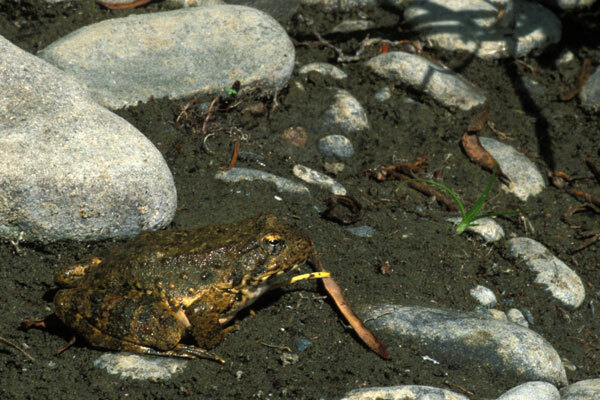 Though they are diminishing in number in many places throughout California, Foothill Yellow-legged Frogs were plentiful in this stretch of the Eel River. They hung out at the water's edge, and most would leap into the water when I got anywhere near. 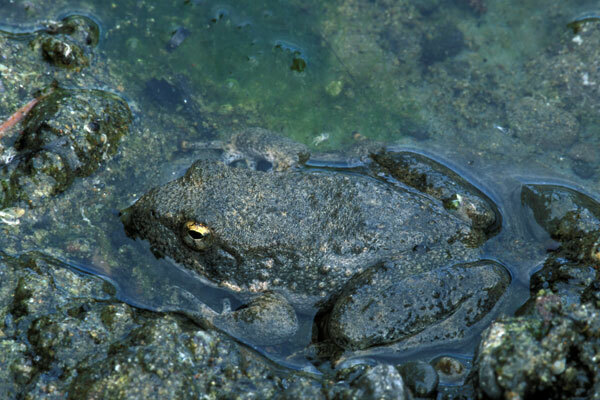 Once in the water, they swam a few feet from shore and then down, usually wedging themselves between small rocks or under leaves on the river bottom. 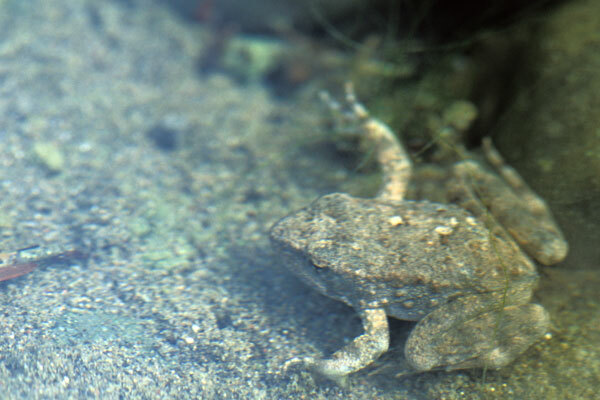 Most of the hundreds of these frogs I saw were juveniles, but the first one pictured here is a large adult.